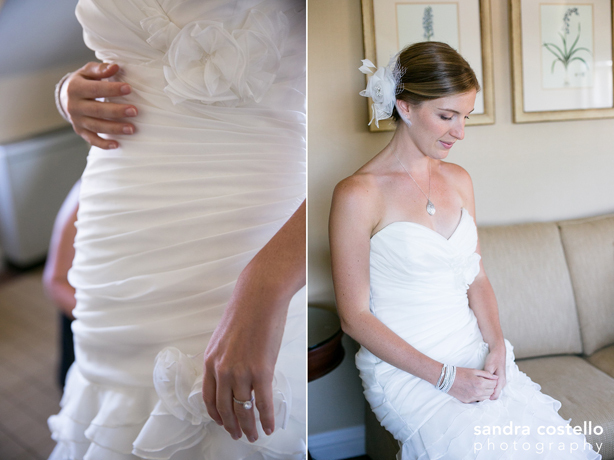 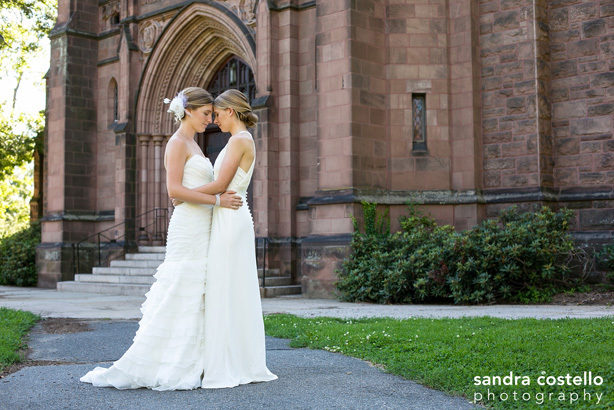 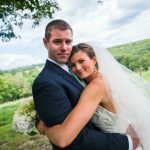 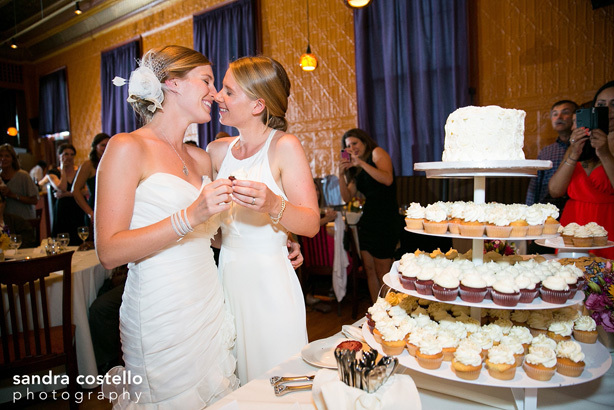 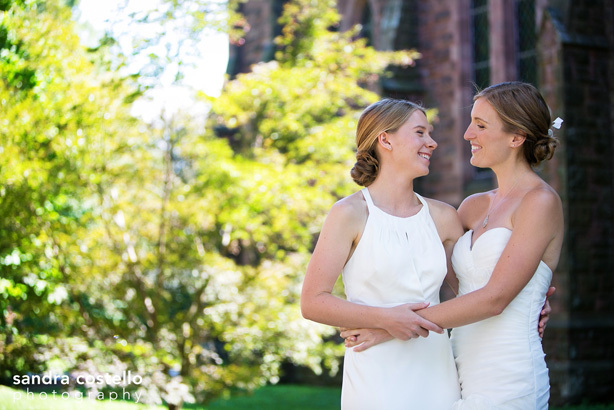 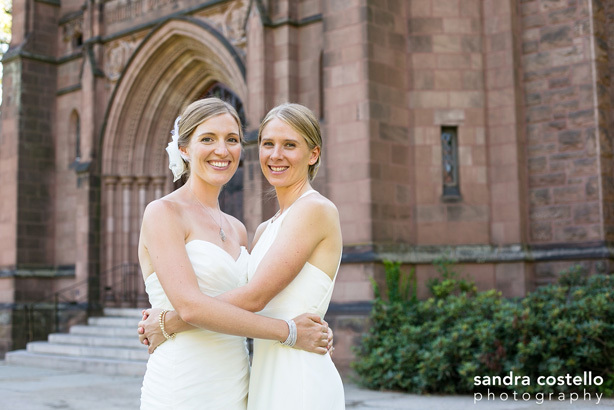 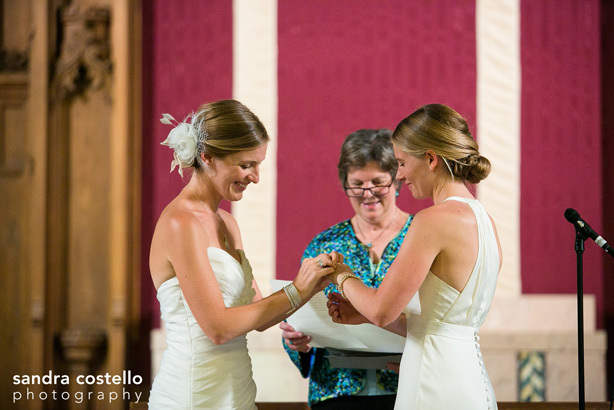 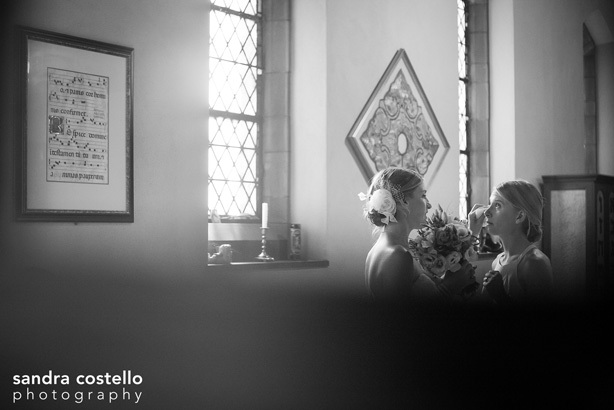 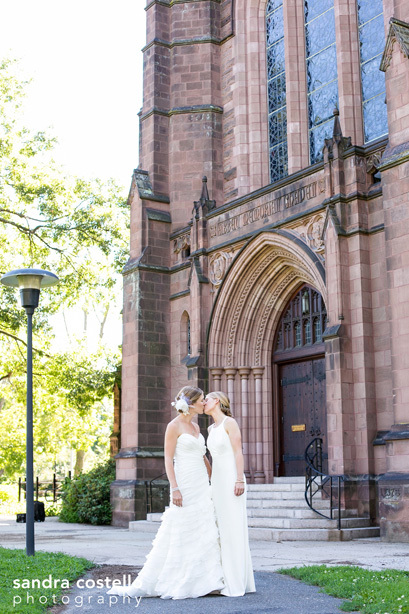 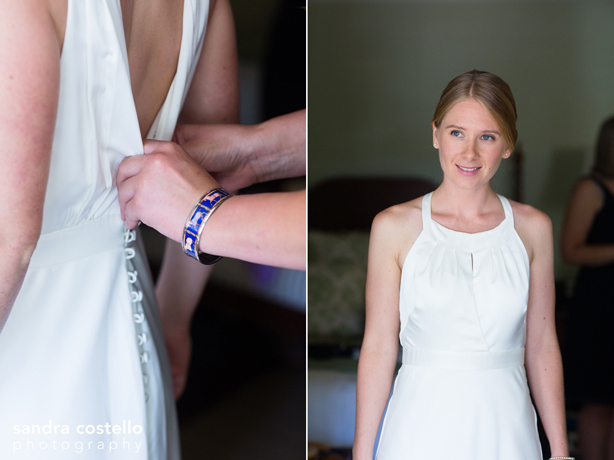 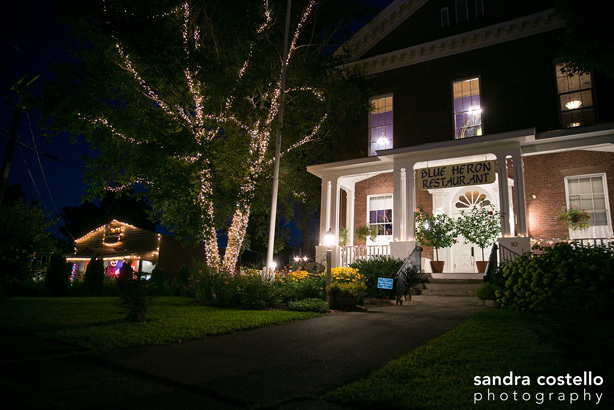 California couple Cate & Cathrine are Mount Holyoke alumni, so returning to the scene of the start of their relationship was the natural choice for their August wedding. 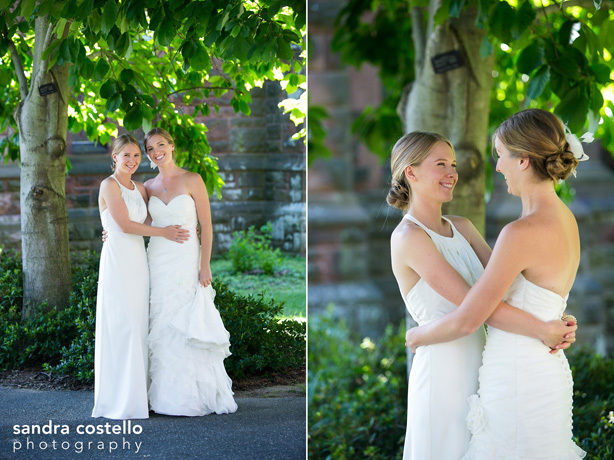 I had the opportunity to meet Cate for a trial months beforehand, and since neither gal wears much makeup, Cate requested a very soft, natural look for them both which beautifully complemented the elegance of their gowns and hairstyles. 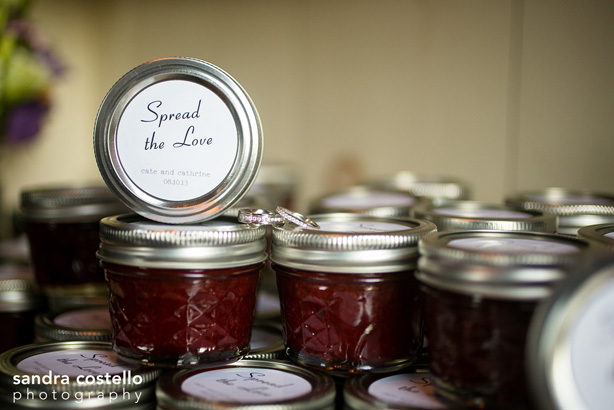 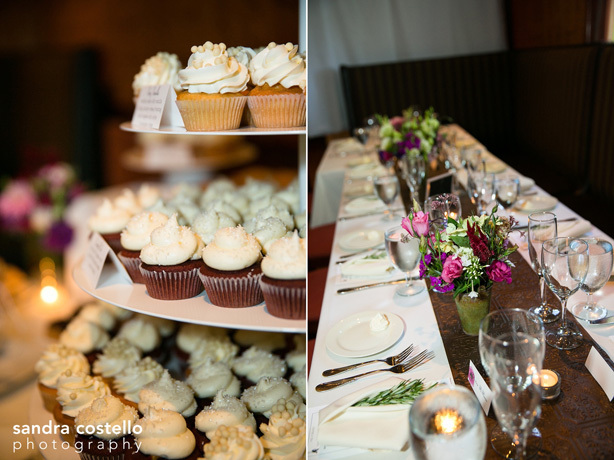 It was such a pleasure working with “the Cates” and their loved ones – and these photos really made me crave cupcakes and homemade jam!